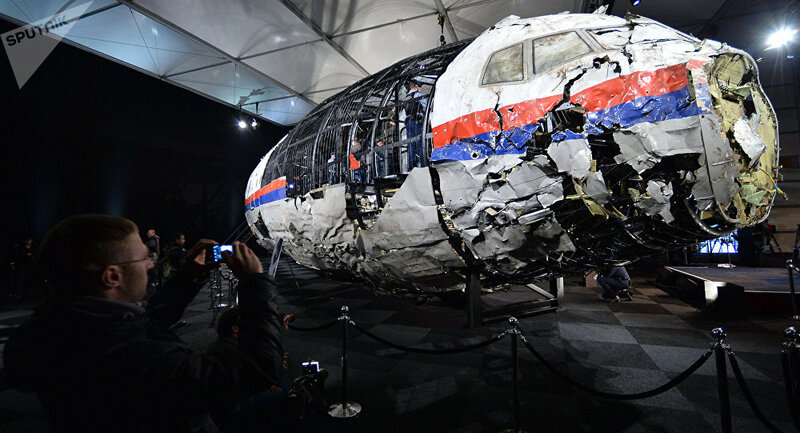 WASHINGTON (Sputnik) - The United States is confident in the findings of the Dutch probe of the MH17 crash and calls on Russia to account for its role in the incident, State Department spokesperson Heather Nauert said in a press release. "The United States has complete confidence in the findings of the Joint Investigation Team (JIT) as presented today by the Dutch Public Prosecutor: the missile launcher used to shoot down Malaysia Airlines Flight MH17 originated from the 53rd Anti-aircraft Brigade of the Russian Federation, stationed in Kursk," Nauert said on Thursday. "We call upon Russia, in particular, to respect and adhere to UN Security Council Resolution 2166 (2014). It is time for Russia to cease its lies and account for its role in the shoot down." The United States is confident the Dutch criminal justice system will prosecute those responsible for the incident in a fair and just manner, Nauert said. Earlier in the day, Dutch investigators concluded that the missile that downed the aircraft was launched by a Buk missile system belonging to the Russian Armed Forces. Russian President Vladimir Putin said Moscow can recognize the results of the MH17 probe if it takes full participation in the investigation. The Malaysia Airlines Boeing 777 crashed in eastern Ukraine on July 17, 2014, while flying to Kuala Lumpur from Amsterdam. All 298 passengers and crew, most of them Dutch, died. Ukrainian government forces and the local militias traded accusations regarding the incident, which occurred at a time of heavy fighting in the region. The JIT, made up of Australia, Belgium, Malaysia, the Netherlands and Ukraine, tasked with probing the crash, found that the airliner was downed by a Buk missile system, which was brought from Russia and returned there after the crash. However, Russia's Almaz-Antey company, which developed the Buk missile system, rejected the findings, saying that three simulations showed that the missile was launched from the Zaroshchenske area, which was controlled by the Ukrainian army at the time of the downing.